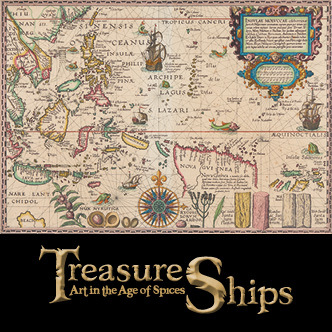 A highlight for the Art Gallery of Western Australia is the much-anticipated Treasure Ships: Art in the Age of Spices. This exhibition includes 250 outstanding and rarely-seen examples of ceramics, decorative arts, furniture, maps, metalware, paintings, prints and textiles from public and private collections in Australia, India, Portugal, Singapore and the United States. A highlight of the exhibition is the shipwreck artefacts retrieved from the Batavia and the Gilt Dragon, which sank off the Western Australian coast in the seventeenth century.